The history of the cinema magazine Film Culture is unique. Founded in New York in 1955 by Jonas and Adolfas Mekas, the journal, first facing auteur cinema is needed quickly as the place of debate and analysis essential to almost everything that has important in American experimental cinema. First appearing bimonthly and at the mercy of financial risks, the journal ran for a total of 79 issues (some double or triple), from January 1955 to winter 1996. 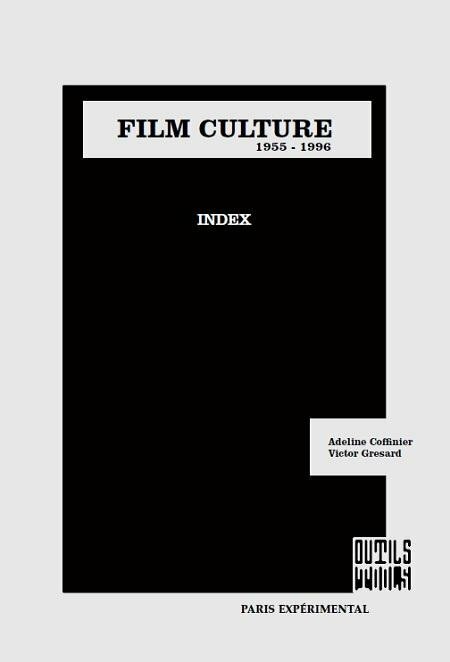 Film Culture is now a key source document, measuring the pulse of the avant-garde film, mainly American, but not only, for two or three decades. The magazine contains a wealth of information about the filmmakers who created, the movements that formed, the ideas that circulated, the films that were screened. It also hosts the texts of the artists themselves, who are also manifestos. Not to mention the illustrations, sometimes dense and very diverse, mostly unpublished. All this in an original model, which has made certain issues copies of collection (from 1956 to 1963, Jonas Mekas confided the typesetting and layout of the magazine to George Maciunas). The publication contains several indexes: Index of authors, Index of subjects, Index of titles, Index of films and illustrations - as well as a complete list of summaries. The search tool is proposed here is preceded by two rare documents. The first is the report of a discussion at Columbia University in 2001 by Jonas Mekas, J. Hoberman, Andrew Sarris and P. Adams Sitney. The second one shows the Editorial of the 14 November 1957 issue, in which Jonas Mekas, editor of the journal, calls for the renewal of experimental cinema in America. Preceded by "A discussion on the legend of Film Culture" and "Editorial" by Jonas Mekas, Peter Carter, J. Hoberman, Andrew Sarris, P. Adams Sitney.